The Orb deep tissue massage ball provides a focused massage to target areas, and is perfect pre and post workout deep tissue massages. 62283 Pro-Tec Orb Deep Tissue Massage Ball, 5"
This high density, multidirectional massage ball provides a deep tissue massage to roll out tightness and prevent injury in the back, hamstring muscles, calf muscles and in the IT Band andsurrounding areas. 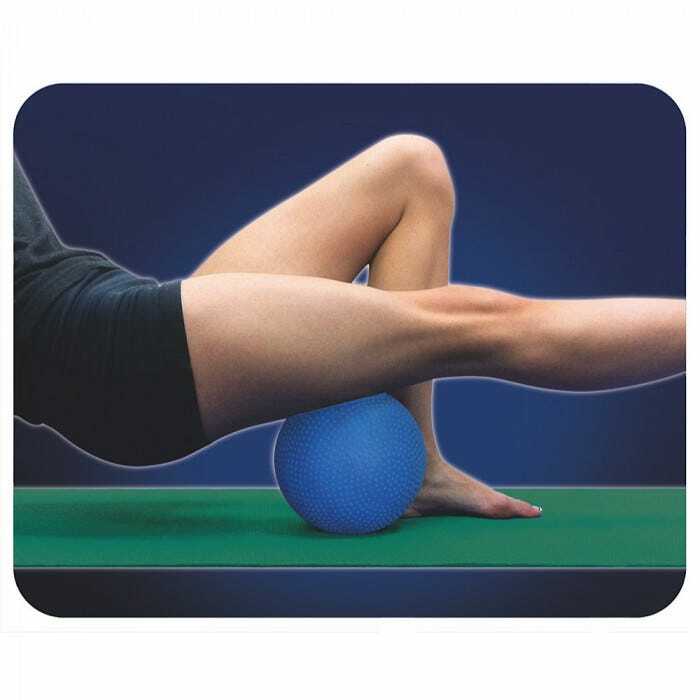 5" diameter high density ball provides aggressive deep tissue massage to: IT Band, Hamstring, Quadriceps, Calf, plus more.